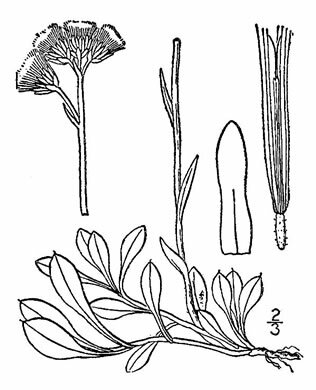 Heads 4-8(-13) in corymbiform arrays, per Flora of North America. 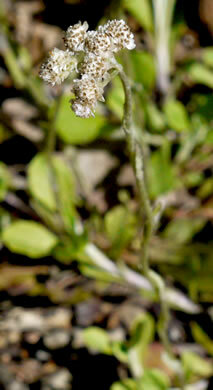 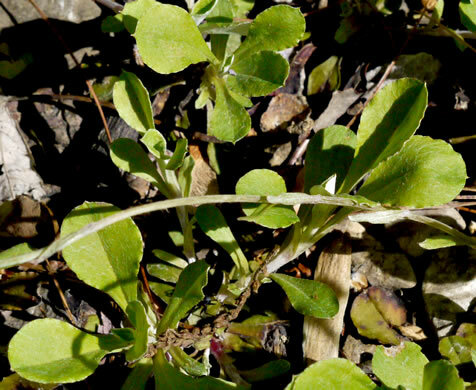 Middle and upper cauline leaves blunt or with subulate-aristate tips, per A synopsis with keys for the genus Antennaria of North America (Bayer & Stebbins, 1993). 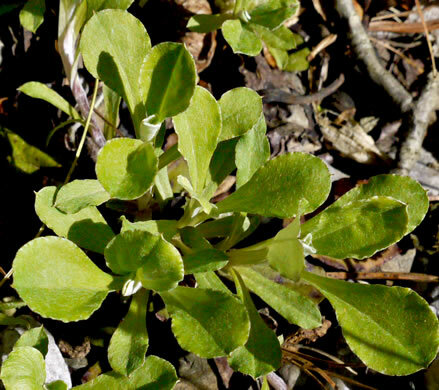 Basal leaves prominently 1-nerved, spatulate, with a distinct petiole, per Weakley's Flora.